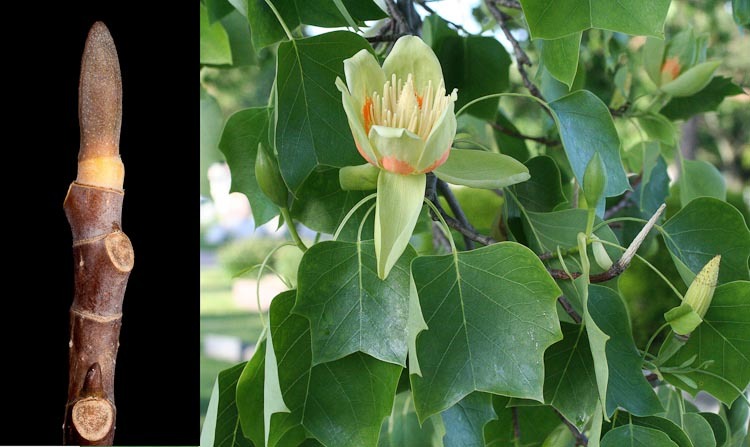 Tulip-tree (Liriodendron tulipifera) is a fast-growing forest tree. Its flowers look somewhat like tulips (no relation though). Quack, quack. 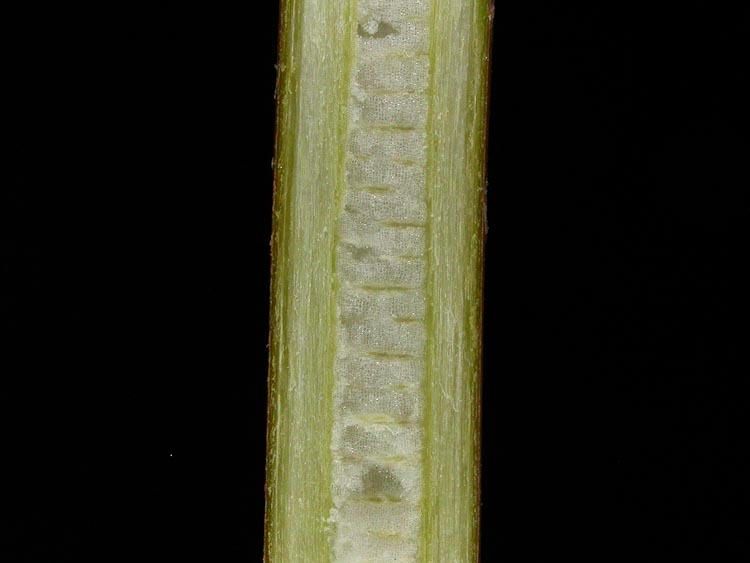 The terminal bud of tulip tree is elongate, with valvate scales (i.e., in pairs meeting end-to-end) looking quite like a duck’s bill. Quack-quack. Oooh, ooh. Stipule scars! 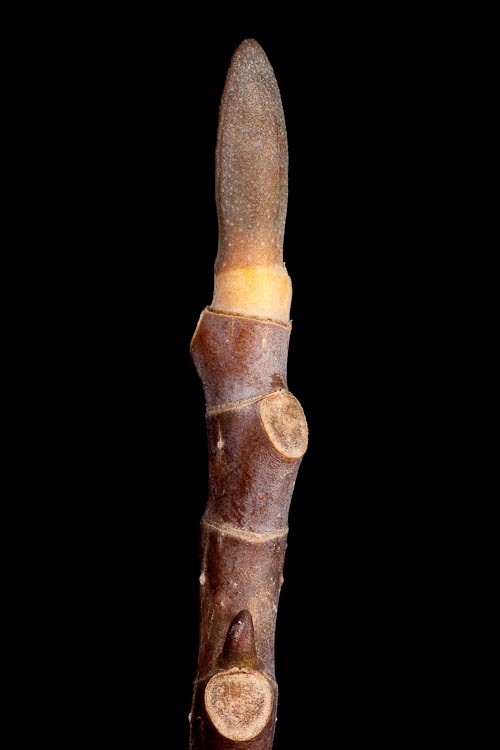 These stipule scars completely encircle the twig. Tulip-tree (Liriodendron-tuliperifera) lateral bud. 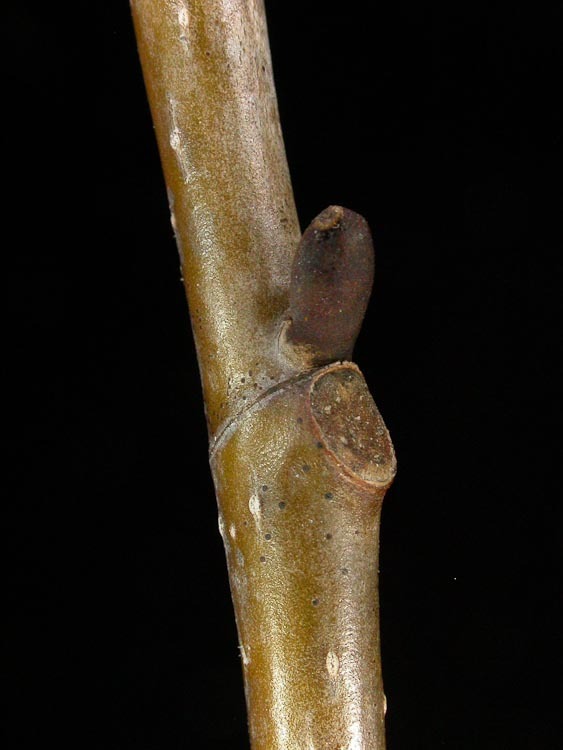 Note stipule scar encircling twig. Tulip tree has an unusual pith type; it’s “diaphragmed.” Filled throughout the inner cylinder, AND there are cross walls. Yippee! Liriodendron-tuliperifera diaphragmed pith. Is anything more beautiful?